​The creation of the £2.5bn programme is one of the key outcomes of the Patient Capital Review. Announced by the Chancellor at Autumn Budget 2017, the programme is an important element of the Government’s Industrial Strategy. It will support UK businesses with high growth potential to access the long-term financing they need to scale up. 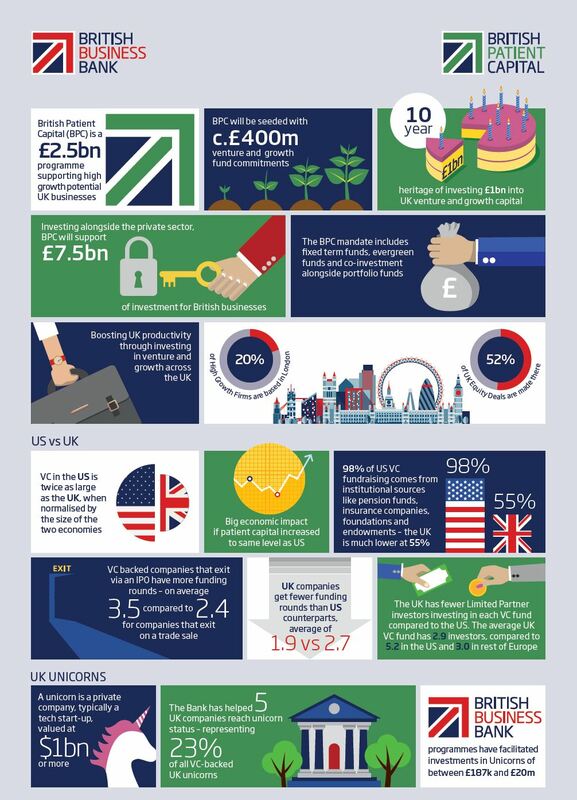 By investing alongside the private sector, British Patient Capital will support a total of £7.5bn of investment for British businesses. British Patient Capital will be developed as a separate subsidiary of the British Business Bank with a view to future sale into the private sector with an established portfolio and proven track record.